As a typical SANUS go, the SANUS VLT6 wall mount is not much different. The largest difference that you’ll see if the ability to extend away from the wall. This is great for switching inputs or if you need to adjust the wall mount itself. 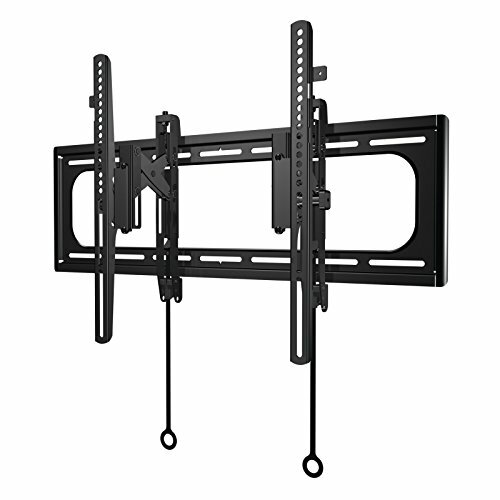 It features the same options as other wall mount with its slick ability to tilt up and down all while supoorted a wide range of TV sizes and weights. Below are also the supported VESA patterns. To the left you’ll find a VESA Pattern and on the right a corresponding TV so you can get a feel for how large the TV actually is this wall mount supports. As with all SANUS wall mounts the installation process is very easy. You’ll need to connect the wall bracket to the TV, the wall plate to the wall and then the wall bracket to the wall plate. The real beauty here is all the working parts are pre-installed to make your life easy. Below are some more detailed steps in case you get stuck. The VLT6 from SANUS works well and offers some a great feature that models below it don’t offer. Remember that if you are ever worried about cable management.